Obituary for John Wesley Scott | Cremation & Funeral Service by Gary S. Silvat, Inc.
John Wesley Scott, age 64, died on January 16, 2019 during an industrial accident in Cleveland, Ohio. A celebration of his life and character will be held this Saturday, January 26, 2019 at the Boy Scout Cabin in Girard starting a 9 am and will continue until way into the afternoon. "The Original" John "Ricky" "Scotty" "Spook" Scott was born in Youngstown, OH on September 27, 1954 to Wesley and Mary Lee Scott of Youngstown. Raised on a hog farm, he became well acquainted with manual labor and the outdoors which gave way to his larger than life personality. As a mischievous young boy, he'd sneak down to the dump, teaching himself to run machines after hours, possibly the first of many illegal activities to come. An optimist, he always found the loophole - that it wasn't illegal if you didn't get caught. Comedian, teacher, outlaw, and jack of all trades, everything seemed to come easily to him and left others in awe. John enjoyed camping, fishing, and riding- a member of Mixed Company motorcycle club. He became familiar with all types of heavy equipment and drove semi trucks, whether they were his or not! John taught his boys how to run machines as soon as they were big enough to reach the peddles and controls. His love of all things mechanical culminated in machine operation for what became his life's work and passion, demolition. Kindhearted and generous, John's genuine smile went first into every room he entered. Everyone there knew a joke and a good time would soon follow. John was preceded in death by his parents, Wesley and Mary Lee Scott. Jionni C Kaczmark, many other grandchildren and great-grandchildren; brother, Wesley Scott (his family), and many others who's lives and hearts he touched. He died just like he lived and just as he would've planned it; making his own rules and doing what he loved-tearing stuff down and burning diesel fuel. Arrangements by Cremation & Funeral Service by Gary S Silvat Inc. 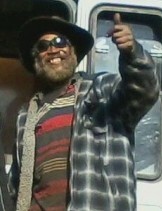 Send condolences to John's family by visiting: www.cremateohio.com.